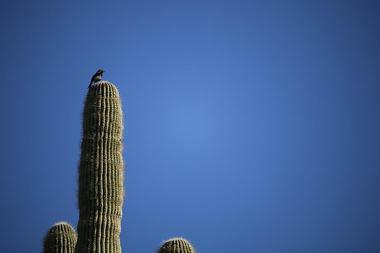 Queen Creek is a city within Arizona’s Maricopa and Pinal Counties, located less than an hour from Phoenix. The beautiful San Tan Valley is home to the expansive San Tan Mountain Regional Park, which showcases the splendor of the Goldmine Mountains and the Superstition Wilderness. San Tan Mountain Regional Park spans more than 10,000 acres adjacent to the city of Queen Creek, showcasing the beauty of the Sonoran Desert’s peaks and expansive vistas. Several hiking trails are offered throughout the park for opportunities to view wildlife and mountain views, including the easy and scenic Moonlight Trail and the difficult 5.1-mile San Tan Trail, which reaches high elevations in the nearby Goldmine Mountains. 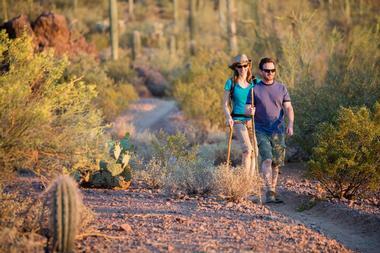 All trails are open to hikers, cyclists, and horseback riders. A nature center is located at the park, offering exhibits on the park’s wildlife and tortoise habitats, along with a gift shop and opportunities to meet park rangers. 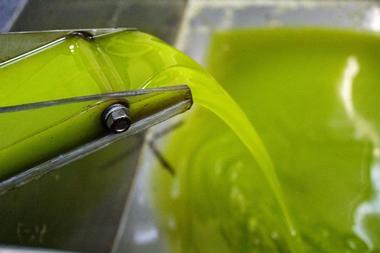 Queen Creek Olive Mill is a family-owned olive oil production company that was founded in 1997 following the owners’ move to Arizona from Detroit. More than 7,000 olive trees in 16 varieties are showcased throughout the farm, which has been featured on Food Network, The Cooking Channel, and The Discovery Channel and was the recipient of the Gold Award at the 2017 New York International Olive Oil Competition. 45-minute Olive Oil 101 Tours are offered daily, teaching participants about the health benefits of olive oil cooking and allowing tastings of the company’s oils. Private tours and tastings may also be booked for groups, including catered lunch and tour packages for student and corporate groups. Horseshoe Park and Equestrian Centre is a 38-acre facility that is conveniently located near Phoenix International Airport and offers five arena spaces for English and Western equestrian riding and events. 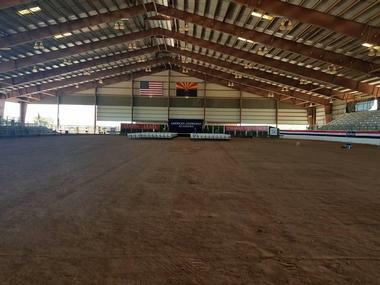 The park is the home park of a number of equestrian and rodeo organizations, including the Arizona Thoroughbred Breeders Association, the Arizona Cutting Horse Association, and the Queen Creek Barrel Racing Association. A wide variety of events are hosted at the center annually, including horse shows, gymkhana competitions, bronc and bull riding events, and RV and car shows. A community arena is also offered for general public use seven days a week, with restroom, picnic table, and manure bin facilities available. Schnepf Farms is a fourth-generation family-owned farm that has been in operation for more than 75 years and has become the largest grower of organic peaches throughout the state of Arizona. 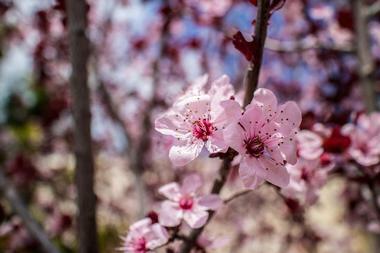 The farm’s peach and vegetable orchards are available for daily picking between September and early July, and a wide variety of public special events are held throughout the year, including seasonal farm festivals, historical reenactments, classic car shows, and crafting fairs. Visitors can stay at the farm’s Cozy Peach hotel, which offers rooms within eight vintage airstream trailers. Each trailer offers its own private fenced-in yard and patio, along with amenities such as flat screen televisions, microwaves, and barbecue grills. Apache Sun Golf Club was opened to the public in 1985, offering a traditional nine-hole golf course designed by renowned course architect Leo Johnson, who has designed more than 200 courses throughout the United States. The course is open to the public October through May and showcases tree-lined fairways, creating a Midwestern feel in the middle of the Sonoran Desert. Tee times are available seven days a week between dusk and dawn, with men’s and women’s tees available. 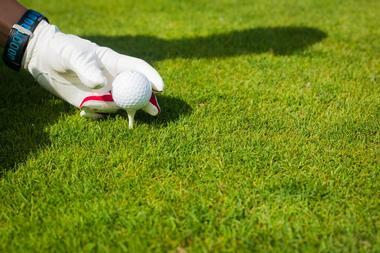 A driving range, putting green, and pro shop are also offered, along with gas cart rental throughout the course. Lost Goldmine Trail is an 11.7-mile round-trip moderately difficult trail that traverses the southwestern edge of the Superstition Wilderness, embarking at the Hieroglyphics-Lost Goldmine Trailhead in Gold Canyon. 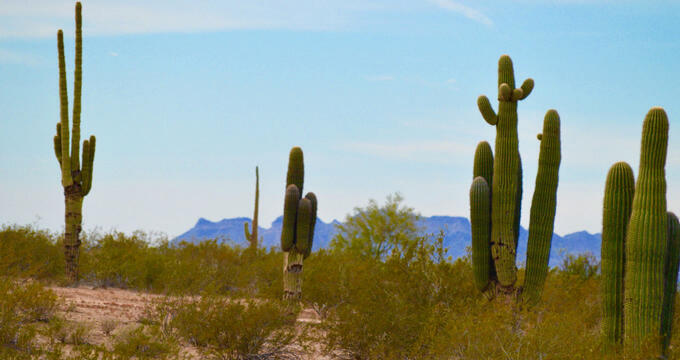 The trail showcases abundant populations of cacti, including teddy bear cholla, ocotillo, palo verde, saguaro, and barrel cacti, and offers opportunities to spot jackrabbits, coyote, raptors, and a variety of snake species. It reaches a maximum elevation of 2,560 feet, gaining 1,435 feet of elevation throughout the trail, and passes through a rolling bajada within Barkley Basin. Dogs and horses are allowed on the trail, along with standard and mountain bikes. 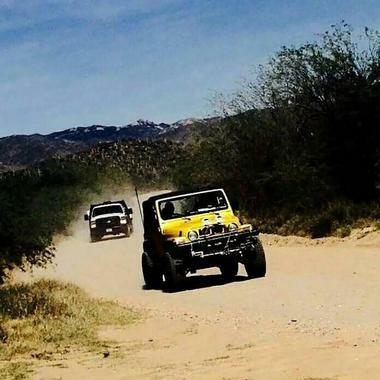 Old West Desert Tours offer professionally guided tour experiences throughout the Superstition Mountain region on 4X4 terrain vehicles, showcasing the area’s towering cliffs, expansive vistas, and beautiful desert wildlife. Tour guides narrate the experience of pioneers traveling to the area in the 19th and early 20th centuries, telling tales of local sites and legends such as the Lost Dutchman Gold Mine. Many photo opportunities are provided along the way, showcasing sights such as Apache Leap, Kings Crown Peak, Weaver’s Needle, and Picket Post Mountain. Tours include lunch and bottled water, with all tour participants receiving complimentary genuine Apache tear stones and CD-ROMs with pictures from the tour. 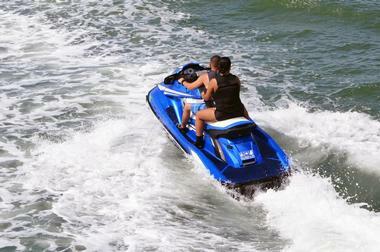 Go Play Rentals are a family-owned jet ski rental company, operated by husband and wife team Nancy and Travis Smith, who founded the business in 2015. The company specializes in rentals of Sea-Doo jet skis, including new fuel-efficient SPARK models, which achieve speeds of 45 miles per hour on the water. All rental offer two three-seat jet skis, along with anchors, ropes, waterproof boxes, fuel tanks, and life jackets available upon request. A refundable deposit is required with all rentals, and discounts are available for customers renting for three or more days. Skis may be taken anywhere within the state, including top recreational areas such as Lake Powell and Lake Havasu. The Pork Shop was opened in 1979 by third-generation Arizona farmer Greg Combs. 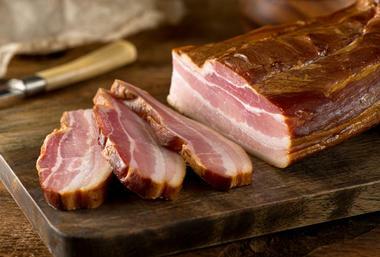 Today, the old-fashioned butcher shop sells a wide variety of meats, including top pork rib cuts, hickory-smoked and brown-sugar-cured hams and bacons, lunch meats, smoked sausages, hot dogs, and capicola. Gourmet sausage flavors are available, ranging from sweet flavors such as apple cinnamon and spicy varieties such as green chile and andouille to a wide selection of cheese-stuffed variants. All products are made entirely by hand in house. Restaurant wholesale is available, along with special pricing for event catering and regular freezer sales.